Includes all six episodes of MY FIGHTING SEASON. In March of 2014, as America was in the midst of the war in Afghanistan, the Taliban increased the frequency of their attacks in an attempt to prevent the Afghan people from voting and derail the historic 2014 Afghan presidential elections. 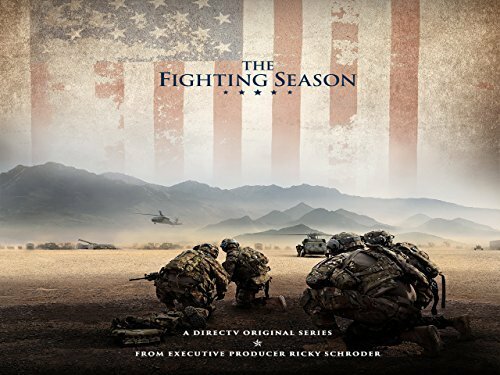 Season Pass includes all six episodes of The Fighting Season. Two FREE episodes with purchase! Purchase entire season of 'The Fighting Season' and receive two FREE episodes of 'My Fighting Season' as our gift to you! You will receive coupon codes after purchase for 'Hunting Ghosts' and 'Warrior Ethos' and instructions on how to use the codes. The Fighting Season (Original) Now Available! 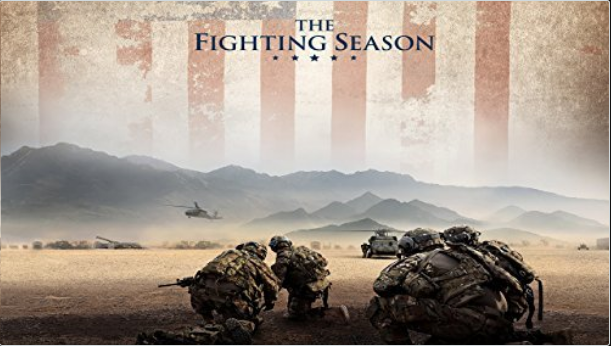 We have received a lot of requests on how to view THE FIGHTING SEASON, which was the original documentary series that aired in 2015. Now you can! If you liked MY FIGHTING SEASON, you will also enjoy THE FIGHTING SEASON! This is available only as a Season Pass which includes 6 episodes. The 2014 Fighting Season will determine the fate of Afghanistan. The US Army fights to defend the national elections. The 3rd Platoon soldiers hunt the Taliban, who are rocketing FOB Shank. This time, the Taliban are ready for the fight. Colonel Graham must help Afghan police capture a hilltop shooter. Task Force White Devil launches its mission to neutralize a high-value Taliban leader code-named Artic Fox. The 3rd Platoon fight for their lives, but the Taliban closes in. An essential range operation turns into a potentially lethal situation. Tensions rise as Colonel Graham's methods worry his team. The Spartan Brigade, 10 Mountain Division and the Afghan Army wrest Afghanistan's deadliest valley from the Taliban. Coalition Forces assist the Afghan National Army as they tackle a Taliban stronghold in the Tangi Valley. Task Force White Devil sets its sights on a high mountain border crossing and sets its drones on a motorcycle carrying deadly cargo. The White Devils hunt Taliban leader Arctic Fox, but the Fox strikes first. In Kabul, a massive explosion rocks the streets in an attempt to assassinate a presidential candidate in the upcoming election. Task Force White Devil fights to capture a high-value Taliban leader code-named Arctic Fox as the Taliban takes its last desperate shot at disrupting Afghanistan's historic national election. Thank you to all of our customers and followers of MY FIGHTING SEASON! We listened to you and we now are offering individual episodes for only $3.99! If you decide to purchase the Season Pass, you will receive a $2 coupon code off the regular purchase price of $17.99. We'd love to hear what you think. Connect with us on social media or show your support by sharing this update with friends! MY FIGHTING SEASON- Individual Episodes now available for $3.99 or get the Season Pass for the discounted price of $17.99. CONTENT ADVISORY: This program is uncensored and intended for mature audiences only. Program contains graphic violence, traumatic injury, explicit language and mature themes.